Daloy Dance Company flies to Japan to present 'Unearthing' this coming July 22-31 for Asian Performing Arts Market at the prestigious Setouchi Triennale 2016. 'This is a work-in-development first seen in Karnabal Festival: Social and Performance Innovations in 2015, and we are grateful for the showing in Dance.MNL Festival at the CCP last June. For its run in Japan this July, we hope to attract producers and festival organizers who could help us develop the work further until it reaches its final output. ', said Torrado in the talk-back after Unearthing in Dance.MNL Festival. 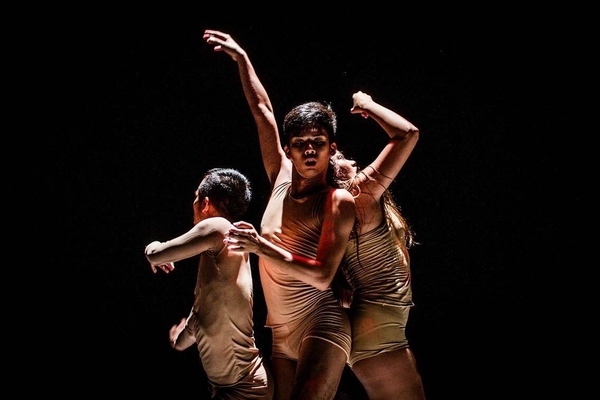 Inspired by Somatics, trance improvisation,and contemporary practices of Babaylan philosophy, Daloy dance artists Buboy Raquitico, Zyda Baaya, and Ea Torrado transcend conventional dance-making and performance through chanting and intuitive movement. The music and chanting by Anjeline de Dios, Kulintang and percussions by Tusa Montes and award-winning lights by designer Katsch Catoy envelop the piece in a powerful and uninhibited setting. 'Unearthing' in Setouchi Trienalle is supported by Japan Foundation Manila, FILOz Contemporary Dance Theatre, The PARC Foundation, Music Artes Inc., Erehwon Arts Center.